(Reading, PA) - The Reading Fightin Phils are planning to MAKE SUNDAY'S GREAT AGAIN by introducing the BRAND NEW Sunday Family Fun Day and the Fightin Phils Kids Club model courtesy of Redner's Warehouse Markets starting this season. Every Sunday will be Sunday Family Fun Day! For only $49, you will receive four tickets with four hot dogs and four sodas courtesy of Redner's Warehouse Markets. Kids 14 and under will be able to sign up for the Fightin Phils Kids Club when they come to a Fightin Phils game this season. When children sign up, an email address will need to be provided so they can be emailed a voucher. 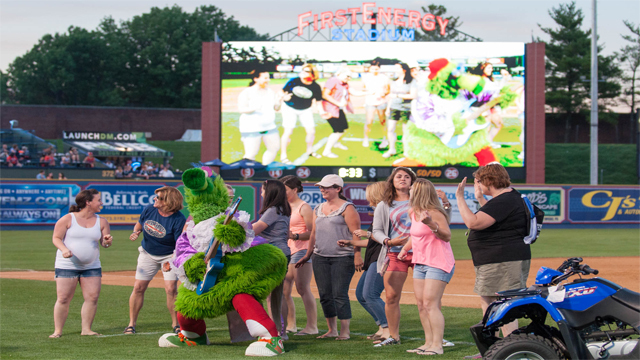 Once the voucher is received, the next time they come to a Fightins game they'll be able to submit that voucher to receive a FREE t-shirt courtesy of Redner's Warehouse Markets! Continuing on Sunday's this season will be post-game "All Fans Run the Bases" courtesy of 69 News Berks Edition.